Remember Y2K? Clocks were bound to stop, computers were destined to crash, and banks worried ATM’s would shoot money out like fire hoses. Everybody was in a panic. And what happened? Nothing. Well, at least nothing catastrophic. Looking back, the year 2000 was kind of low-key. At least that’s how I remember it. One thing’s for certain – Y2K didn’t stop Jimmy Russell from doing what he does best – making the finest Kentucky straight bourbon whiskey known to man. Thanks to a generous whiskey associate, I have a new Wild Turkey 101 bottle from 2000 to enjoy. For those curious on how to determine WT 101 bottle dates from this label/era (1999-2011), take a few minutes to check out my Bottle Codes page. 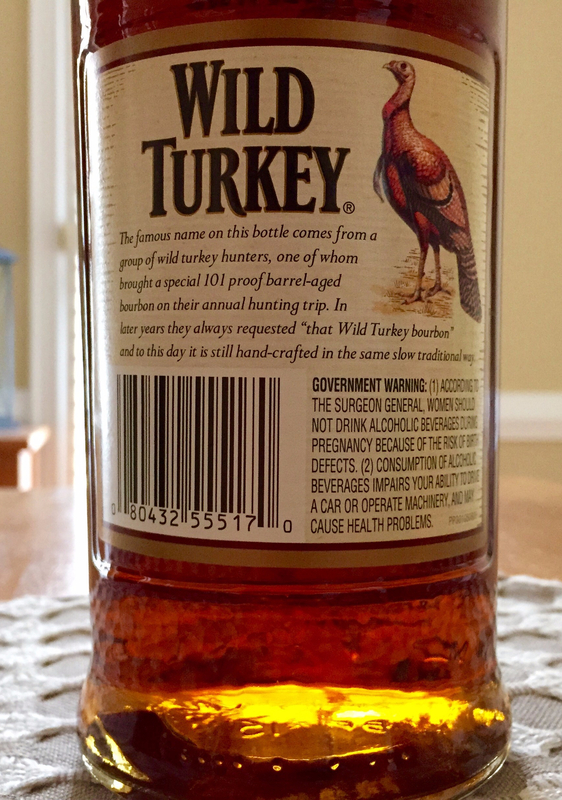 I should also point out that a quick glance at the reverse label will easily help you differentiate a pre-2003 bottle from a post-2003 bottle, as Wild Turkey added their web URL to 101 labels around 2003. While factory codes are a much more accurate means to date a bottle, they’re sometimes absent (manufacturer error, rubbing, etc.). So at the very least, a simple label check will help you determine whether a WT 101 bottle was filled pre/post 2003. Though I haven’t formally reviewed this particular release date, I’ve tried Wild Turkey 101 from 2000 before. 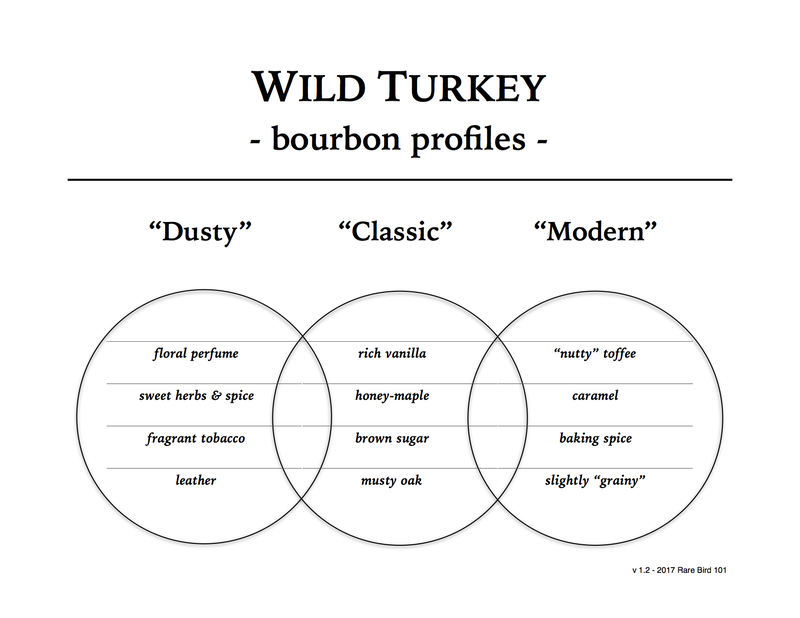 If my memory serves me right, it’s solid classic-profile Wild Turkey – possibly some hints of dusty Turkey as well. But there’s only one way to know for sure. Speaking of which, I think it’s time for a pour! Overall: This 2000 Wild Turkey 101 is a real “connect-the-dots” release for me. In many ways I’m reminded of 101-proof Russell’s Reserve 10-year, which debuted the following year (2001). It also has elements of WT 101 from the 1980’s and 1990’s, particularly mid/late-90’s WT 101/8 exports. And finally, there’s robust classic notes and a mouthfeel akin to certain Russell’s Reserve Single Barrel private selections. It’s an all-around fantastic representation of “post-dusty” WT 101 – the classic profile at its “everyman’s bourbon” best. I’m not sure what others are looking for in a straight bourbon whiskey, but what I’m looking for is far from the common marketing adjectives: “easy,” “smooth,” and “refined.” I’m looking for bold character, honest complexity (free of gimmicks), and balanced traits that push and pull from nose to finish. It doesn’t have to be special – it just has to work – and Wild Turkey 101 does that time after time. As for this 2000 WT 101, it works undeniably well.